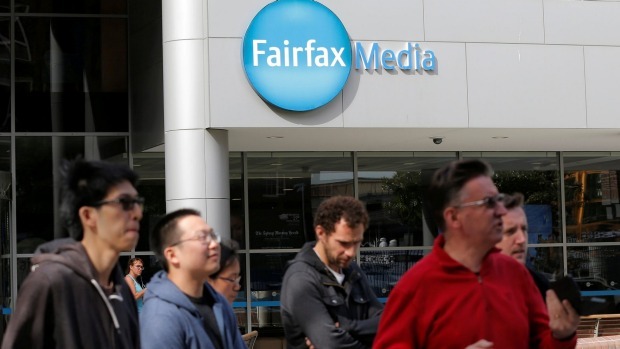 Journalists at Fairfax Media have voted to go on strike following the company’s decision to cut a quarter of the remaining journalists at its major Australian newspapers. Fairfax journalists announced via Twitter that they will be on strike for seven days from Wednesday – a stoppage that will include the Federal Budget on May 9. Fairfax is cutting costs by A$30 million (NZ$32.5m) in the face of declining advertising and circulations and told staff on Wednesday it is looking to lose 125 staff from the newsrooms of The Sydney Morning Herald, The Age, Brisbane Times and WA Today. “While we will be looking across all parts of the newsroom, at the end of the redundancy program we expect there will be significantly fewer editorial management, video, presentation and section writer roles,” the company said in an internal note. Fairfax axed 120 editorial jobs from its newsrooms in Sydney and Melbourne a year ago in an earlier cost-cutting exercise and outlined its latest target last month. It called it an effort to secure the titles’ future, but only revealed the details on Wednesday. The Media, Entertainment and Arts Alliance slammed the move, saying it is “appalled” and the decision will weaken Fairfax’s business. “None of the other parts of the Fairfax business are worth anything without the journalism and yet it is the journalism that Fairfax always cuts,” MEAA chief executive Paul Murphy said. “This will only undermine and damage its mastheads further, alienating its audience and leaving the editorial staff remain have to work harder and harder to fill the gaps. Fairfax has set staff a deadline of Tuesday for expressions of interest in voluntary redundancy, with a decision to be made by May 12. It said 10 staff had already left and would not be replaced. The move follows a similar announcement last month by arch rival News Corp Australia, which flagged job cuts across its newsrooms in a new cost-cutting push to streamline operations. Ad revenue for Fairfax’s metropolitan media arm plummeted 16.6 per cent in the first half of the current financial year, with real estate classifieds business Domain firmly established as its most profitable business. Domain generated 39 per cent of Fairfax’s total earnings in the first half of 2016/17 and is subject to a review that looks likely to end with it being spun off into a standalone business. Fairfax is also reducing its casual workforce with the saving of $3 million, reviewing its third-party contracts and auditing all contributors. Director of Australian metro publishing Chris Janz said last month Fairfax was committed to print publishing “for many years … so long as our newspapers have an audience and advertise”. Fairfax chief executive Greg Hywood also warned on Wednesday of cuts in New Zealand after the country’s competition watchdog blocked a merger with NZME.